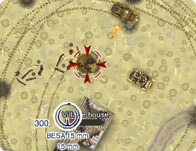 One of the most interesting games in the Endless War series certainly has to be the Endless War 5 game which feature tank warfare! If you are into driving big, heavy vehicles and shooting at enemies from different guns and turrets then you have to play Endless War 5 as the gameplay is simply brilliant. Right off the bat you will notice the great new graphics that provide a high quality gaming experience and smooth gameplay without many glitches or lags. One of the annoying thingsh owever, is the long loading time of certain levels. And as if the loading wasn’t annoying, wait till you see the levels! Right off the bat some of the levels are just too hard and represent a very difficult challenge. 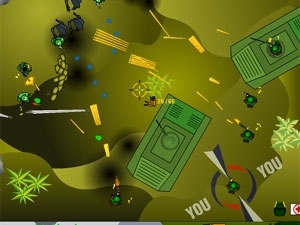 Maneuvering the vehicle takes a lot of time to master yet you will have to learn very quickly as the enemy will be there from the start barraging you with a rain of bullets and bombs. Another great thing about the game is the customization as will now be able to upgrade your vehicles. You can improve the armor, range, speed and power of your tanks with the points you earn from successfully accomplishing missions. 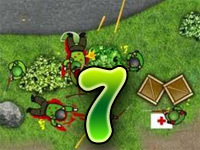 If you are looking for a real challenge, then play Endless War 5 and I promise that you will not be disappointed. ©2019 Endless War 3. All rights reserved. Endless War 3 is a trademark owned by arcadetown.com . This website is not endorsed by or affiliated with arcadetown.com in any way.